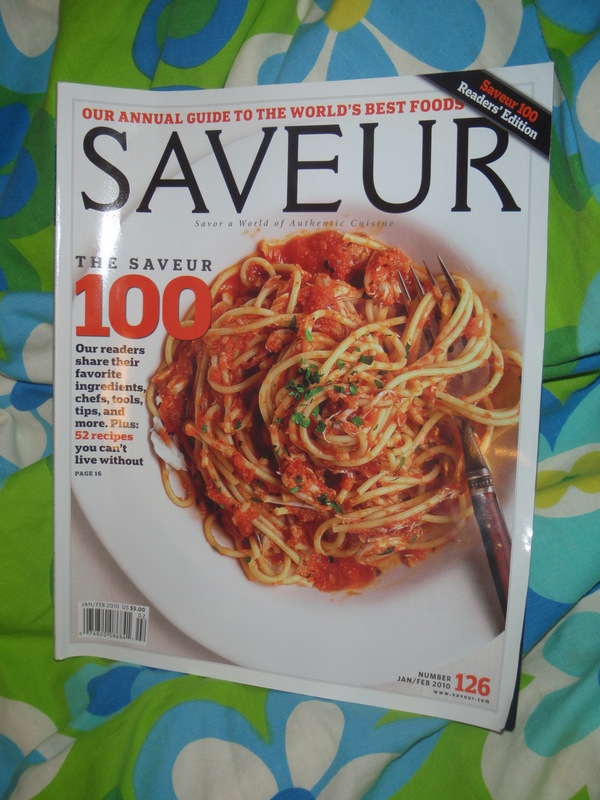 In the current issue of Saveur magazine (#126, Jan/Feb 2010), the editors don’t so much rank as review a top 100 gastronomicalities: foods, cooks, restaurants, books, tools, events and even websites, cities and kitchen tips. Unlike the previous 11 lists, in this issue the picks were plucked from over 1300 entries contributed by readers. Texas foodways don’t dominate the cataloging this year, as in some past issues, but several Texans contributed to the inventory, including Rachel Tucker of Austin (no. 29, Malbec Wines). Um...yeah, uh, that's all that's left. 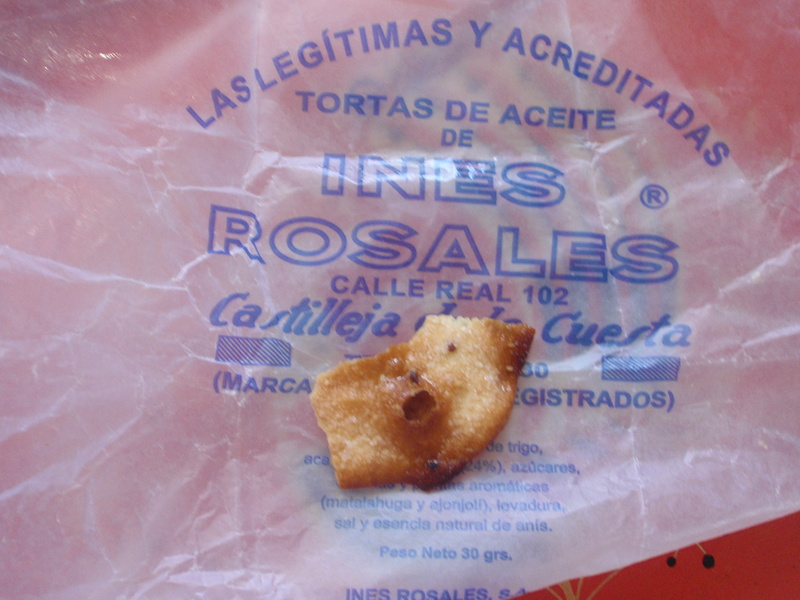 One of my favorite finds in this “Annual Guide to the World’s Best Foods” is Spain’s Ines Rosales Tortas de Aceite (olive oil tortas, no.69), a sweet and crunchy tortilla-like/paratha-esque/cookie-ish pastry, available at Central Market, where the Deli also sells the Matiz Andaluz brand in sesame, sugared and sugared almond versions. I love the anise scented rounds, but at $5.99 ($7.99 for Matiz) for a six-pack, I’ve been planning on formulating my own for a while now. I’ll be sure to post my sustainable homemade version when I succeed. I like no. 5, Sichuan Dipping Salt—see my Coconut Meatballs post for my version of this seasoning/condiment. Contributor Stephen Hu adds five-spice powder to his concoction, which sounds fragrantly delicious. No. 7, Clarified Butter, speaks to my soul and palate. Although contributor Lauren Klatsky’s instructions fall a shade shy of traditional Indian ghee, you’ll find that cranking out a jar of this golden butter-oil (see my instructions at Ga Ga for Ghee) is simple indeed. Austinites already appreciate the roasted gusto of Hatch Chiles, no. 20. Local grocery stores and even our farmers markets get into the act in late summer, and transplanted New Mexicans continue to spread the sweet smoky word. 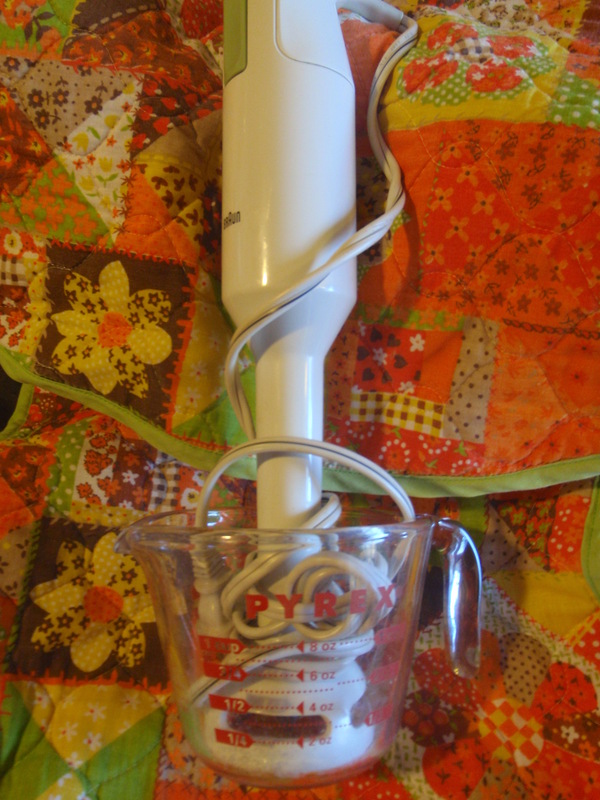 Immersion Blender, a top tool at no. 37, reminds me to remind readers that yes you can buy useful, high quality kitchen implements at your local thrift stores–that’s where I got my Braun model. Save a buck and save some labor. While we’re on the subject, check out no. 72, Pyrex glass measuring cups. You’ll find these at the resale shops as well, along with vintage Pyrex, Anchor Hocking, Fire King and Corning glass bakeware, and even stove-top vessels. Pretty pieces, very functional. Quality is so retro. If no. 38, Banchan, is your thing, try Full Quiver Farm’s lacto-fermented kimchi. Speaking of lacto-fermentation, allow me to jump ahead to no. 95, Sally Fallon‘s eye-opening cookbook, Nourishing Traditions, where I first read of the technique. Good luck getting your hands on a volume at our city’s public libraries. Of their ten copies, most are already checked out, two are missing. Better luck to you at Half Price Books. Get growin’ with no. 40, Herbes de Provence, Austin-style: Thyme, sage, rosemary and savory, perennial herbs that can thrive beautifully in our area, plus Mexican mint marigold standing in aromatically for Europe’s tarragon. Luckily lavender is optional, as we’re challenged in our yard to provide adequate drainage in the face of cyclically relentless rain. Greener thumbs than mine should encounter less trouble, and of course you can purchase locally grown from such sources as Texas Lavender, at our local markets. Wonton Wrappers, no. 45, offer adventurous cooks a short-cut to stuffed pastas. See Saveur’s recipe for “Shrimp Ravioli with Spinach and Ginger” and keep it local with Gulf shrimp, farmers market carrot, fennel, eggs and tomatoes (Gundermann Farms keeps up your lycopene with their hothouse love apples), and Cora Lamar’s triple-washed spinach (still only $2.50 for a 10-ounce bag) and Texas leeks (Whew! Just in time! Substantial local alliums have ’bout disappeared.) from Central Market. Rascally radishes rank at no. 51 as “Foods that Inspire.” Rolled in olive oil and roasted, the redolent roots were a revelation to contributor Donna Long’s husband, epiphanically sending him off on the foodie journey. 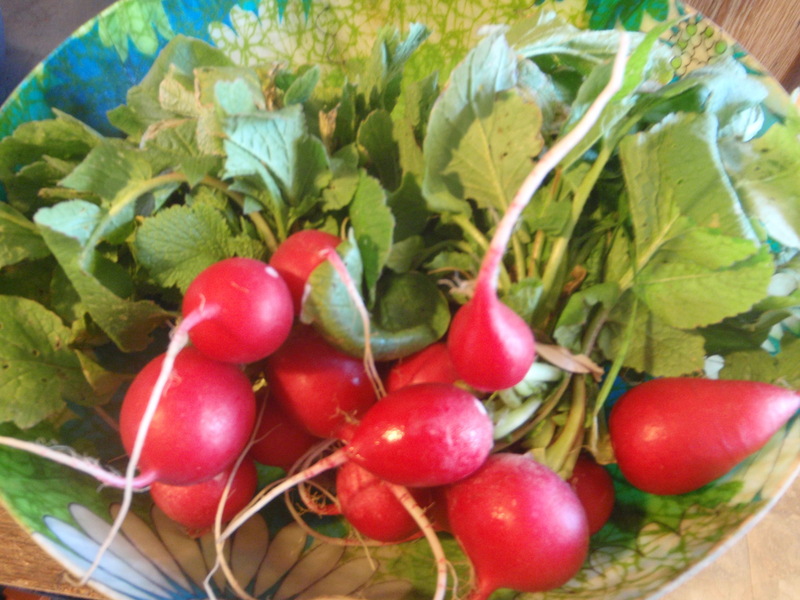 Radishes gloriously in season now in our parts, pluck a bunch and taste the magic for yourself. Try my Ravishing Radishes for an Indian twist. Bust out Austin’s own Tito’s handmade vodka to try your hand at any of the one dozen (!) Bloody Mary (no. 76) recipes. Wake up on the bright side! I’m afraid I’m partial to Texas’ sweet, sweet 1015 onions, and must take exception to no. 78, Washington’s Walla Walla onions. Texas pride. Gets me every time. Cole Ruth’s tip in no. 79, Dried Lemon Zest, intrigues. I store my citrus zest in the freezer, but I’ll have to try this trick next time I’m faced with rind. Saving rendered animal fat is second nature around here, so no. 82, schmaltz, really speaks my language. Chicken fat cracklin’d with some onion. Mmmm. After Alton Brown lost points with me when he deemed natural sausage casings “icky,” he won me back with his “schmaltz manié.” Yes! Don’t forget to save your Gulf crustacean shells (shrimp, blue crab) to brew shellfish stock as no. 94, Leftover Shellfish Shells, instructs. Check out Saveur’s recipe for Shrimp Bisque to use up your shrimp shells.